When Brookline Public Relations moved offices, it was the perfect time to implement a brand refresh. Keeping true to the existing brand, nonfiction was asked to create a new, distinct feel for Brookline while keeping the logo unchanged. A reduced colour palette and the introduction of a silver allowed for a notable change without compromising the brand equity of the company. 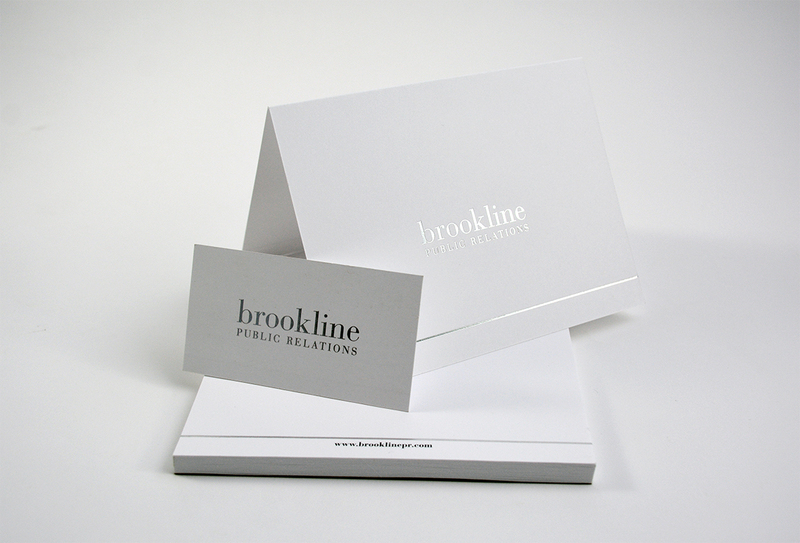 Rooted in modern, contemporary aesthetics, simple black and white and silver foil accents are the foundation of the new Brookline Public Relations brand.